mind trying to update minihud ? this means from now on if it's on huds.tf you'll be in the credits, does that sound good to you? Of course it sounds good, it's your hud! feel free to take my verion as a base for your next updates. Is it possible that rad hud can have a 12/16 player scoreboard? can you update grapes version of m0rehud please! 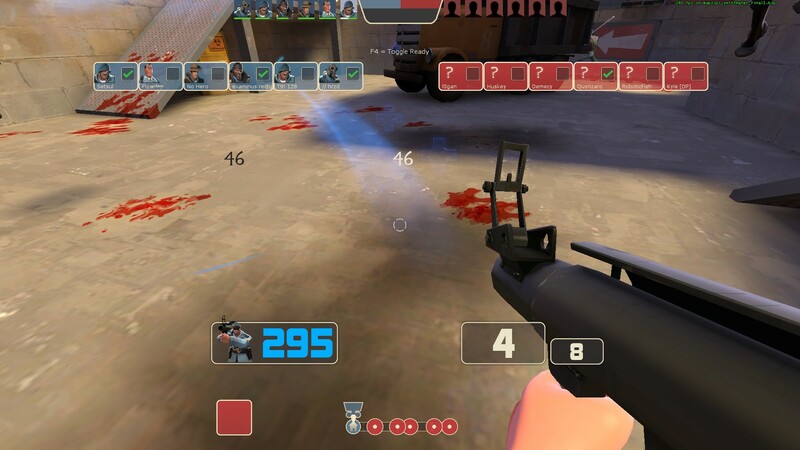 Is this a HUD bug or just TF2? You fixed it in 7 minutes? Yeah, basically after the last update when almost every scoreboard was broken, to fix them I used the same values for every hud, just to make it faster. So now I need to recheck every scoreboard and see if they work properly or not. I will do that soon. HypnotizeYeah, basically after the last update when almost every scoreboard was broken, to fix them I used the same values for every hud, just to make it faster. [quote=Hypnotize]Yeah, basically after the last update when almost every scoreboard was broken, to fix them I used the same values for every hud, just to make it faster. Working on EJP and Thrwatski as well. Enjoy and report any bug as always! About the grapes m0rehud, the surface numbers font is gone for me (*invalid character file*, and atm the hud is using quiks surface uber font, pretty much the same) anyone knows why, or does have a working version of that font? You can take them from the base hud files, like compare the 2 files and see what is missing. Thanks dude it worked perfectly,your response time is the best! Thank you for old yahud!! You do an amazing job Hypnotize, thank you!! can you fix the blus bg pls?